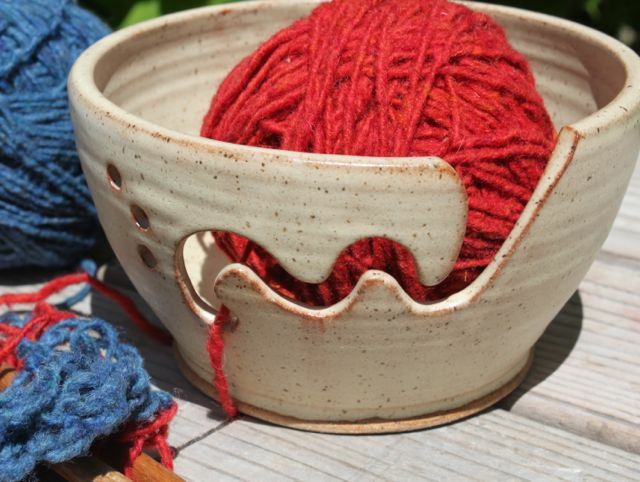 When I make a new piece of functional pottery like a bowl, a plate, a lamp or anything that gets made more than one time there are so may factors that come into play. Esthetics drives the making, and then the practicality follows. 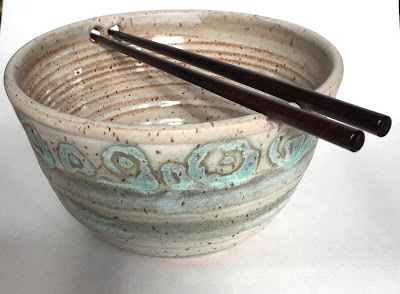 I have been working on a noodle or rice bowl. 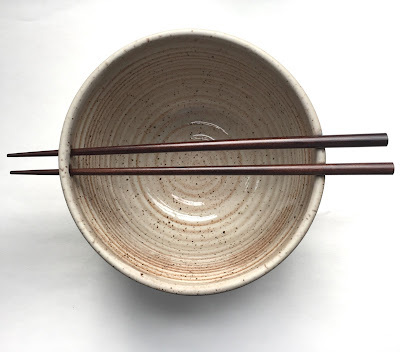 I like the way it looks and enjoy the curiosity of the small holes at the upper rim that align with the two notches - to hold a set of chop sticks. 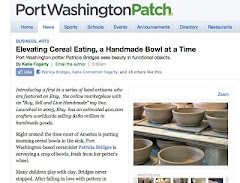 Just when I think I have refined and tweaked the form and shape and glaze I hit a snafu with these noodle bowls. My job doesn't end until it's in its new happy home and being enjoyed by it's family. These measure 6" at the rim x 3.5. I ship them in a box that is 8" x 6", but with the addition of the included chop sticks that won't work. The chop sticks would fit in the box alone at a diagonal - bit they don't travel alone. Time to retool and order new boxes. Hopefully the last iteration on a long list of changes..... until I find another improvement.